Print marketing is one of the most effective ways for businesses to increase sales. And that’s no exaggeration. Consider this: 56 percent of direct mail postcards are read by consumers, and in 2013, 2.9 billion direct mail coupons were redeemed. According to Entrepreneur, even something as simple as a business card is still a critical component of every marketing-material portfolio. Who is your target audience? Figuring this out is the first step to increasing sales. Design, color, content, and other variables will change depending on your target demographic. Get to know your audience and go beyond the basics of age and gender. What issues are important to them? Even if it seems like the details don’t relate to your product, an effective graphic designer will know how to integrate details like this into a design that will relate to your audience and communicate directly to them. Even if your audience is diverse, research will help you determine commonalities that can be included in your design. Follow these steps to identify the needs of your target market. Figure out what need is fulfilled by your product. This will help you know what type of person is most likely to want to buy your product. Gather data about your target market. You can do this through already existing market research, but the best way to gather data about your customers is to ask them. Ask existing customers about their shopping experience, and include demographic data in your survey. Make it fun. Use social media to promote your survey, offering prizes for participants. Prioritize your markets. While your audience may be diverse, identify the most common factors among them and prioritize those in your design. Customization is key to online marketing. Sales increase when clients feel personal attention. Getting the right product in front of potential clients at the right time is the critical variable in making the sale. 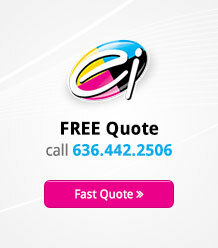 There’s no need to go crazy professionally printing a package based on each client’s needs. 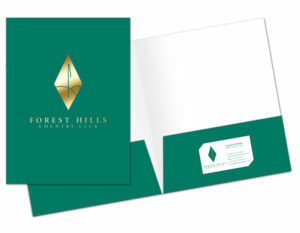 Instead, have a well-designed presentation folder with customizable page inserts that are also professionally designed and printed establishing the brand design across the top. You can build client packages based on their interests, rearrange the inserts based on the client’s priorities, or use this method to customize press packages and trade-show folders based on the target audience for that day. Just because you are printing marketing materials doesn’t mean you aren’t utilizing digital tools. Your offline and online marketing materials should be integrated. For example, include a QR (quick response) code on you brochure that links readers directly to your website when they scan it with their phone. Link them to a product page, a coupon, a newsletter sign-up form, or whatever you think appropriate for your business. Another approach is to include your hashtag in your printed materials wherever you mention social media accounts. Include hashtags in your brochures, banners, or even bus stop ads to promote your brand. Use the hashtag to track online conversations about your company. Consider encouraging their use by offering rewards or free product for customers who use it. Here’s an example. Let’s say you are opening a new store in downtown St. Louis, and you plan to combine online and offline marketing to successfully promote the event. Print postcard invitations to be directly mailed to your target audience. Include a hashtag like #GrandOpeningStLouis on the postcard. Encourage people to attend, to take pictures and post them on their own social media feeds, using that hashtag. Offer prizes to the best pictures or gift cards to the first 20 customers to post a photo and tag it with your hashtag. This approach helps you track online conversations about your brand, as well as reach hundreds more than you did with your original postcard mailing. The bottom line is that success and increased sales comes from integrating print marketing and online marketing. Consider these statistics. Seventy-nine percent of customers act on direct mail immediately, while only 45 percent of customers act on email immediately. Direct mail has a response rate that is three times better than email. Despite the growth of digital marketing, direct mail response rates have increased by 14 percent over the last 10 years. Professionally designed printed marketing materials are tangible representations of your brand and leave lasting impressions on potential customers. Research shows that customers hold on to business cards printed in full-color up to 10 times longer than black-and-white versions. 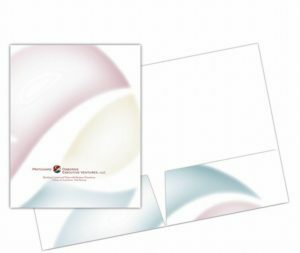 If a simple business-card design has that much impact, imagine how much impact a professionally designed catalog, brochure or direct mailed postcard will have.